Diana Waring’s lifelong pursuit of history’s hidden treasures is available to you in her quick-witted, enthusiastic storytelling on four compact discs. 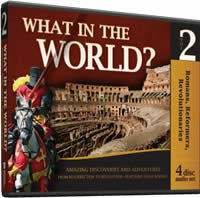 Discover the truth behind the fables of emperors, popes, rebels, and dreamers who changed the course of nations. Witness the sovereign hand of God guiding human civilization from the fall of Rome to the Age of Revolutions. 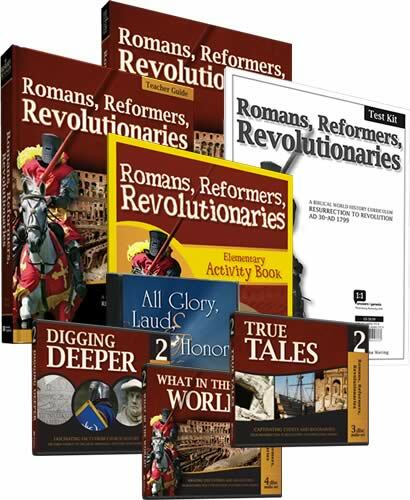 Produced to complement History Revealed: Romans, Reformers, Revolutionaries. 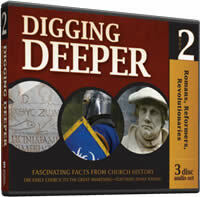 From the “History Revealed” curriculum. View the entire collection.